Predictions for the new event! JP’s next event will be Challenge Festival Round 10, an 11 day µ’s event. 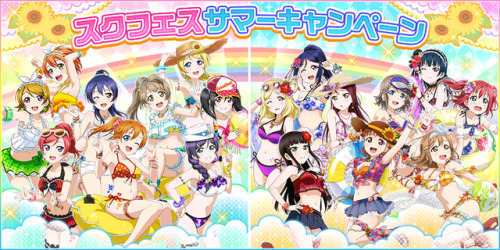 The featured cards this time are “Festival” themed SRs Ayase Eli (Pure) and Hoshizora Rin (Cool). 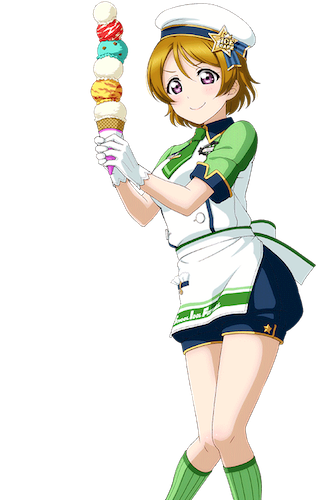 Rin’s card can be obtained by achieving certain event point values, but Eli’s can only be obtained through event ranking. These cards share a theme with previous event SRs “Festival” Honoka, Kotori, Umi and Maki! SIF’s Summer Campaign will start on August 20! Clear goals by playing lives a certain number of times! The number of times depends on the goal.